Did Fox News skip the DNC's most moving speech? 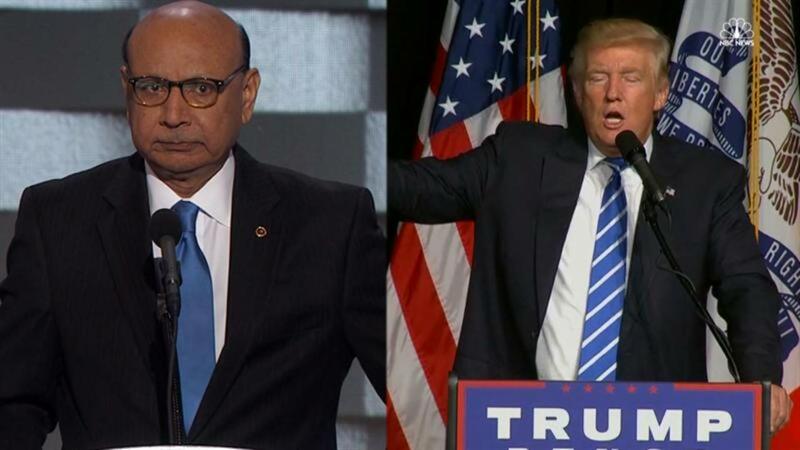 The father of a slain Muslim war hero gave what was likely the most impactful speech of the Democratic National Convention Thursday night—except you wouldn't know it if you were watching Fox News, because the networks apparently declined to show it. The crowd inside Philadelphia's Wells Fargo Center gave Kahn a standing ovation and his speech was instantly lauded by those watching at home. His name skyrocketed to Twitter's trending list almost immediately. But, Fox News viewers, noticed that the network cut away from the speech, switching back to commentary. Networks cut in and out of the (numerous) speeches that come before the heavy hitters all the time. MSNBC, startlingly, went to commercial instead of airing the speech of Chloe Moretz. But for many, the irony of the conservative network skipping out on a moving—and difficult to spin—speech from the father of a war hero was not lost. Andrew Sullivan, writing for New York Magazine, summed it up like this: "Just an FYI: Fox News cut away from the father of the fallen Muslim soldier. Of course they did." The post Did Fox News Skip The DNC's Most Moving Speech? appeared first on Vocativ.